Addiction provides a nice variety of different protein sources in their dry dog foods and they’re also pretty unique in the dog food realm because they place a big focus on sustainably sourcing their ingredients. 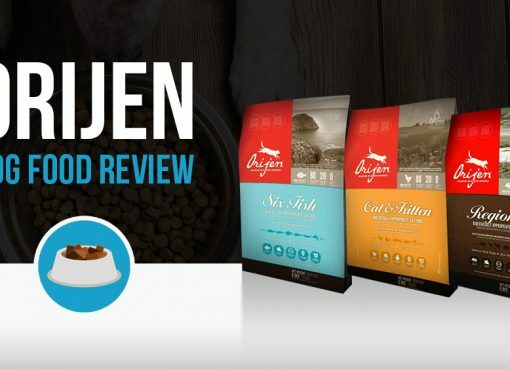 They may be the dog food of choice for environmentalists, but some of their ingredients are a bit of a mystery which drops their rating from us. Addiction Pet Food is a primarily hypoallergenic food line that specializes in using animals raised in New Zealand and Australia to provide high quality feed for our four-legged friends. The company also maintains a strong commitment towards the environment, and its main manufacturing facility at Bay of Plenty, New Zealand, makes use of numerous green technologies to produce food in the cleanest, healthiest, most earth-friendly environment possible. Addiction makes use of several high-quality meats that are chosen both because of their high levels of nutrients and because of their hypoallergenic and easily digestible properties. Interestingly, the company also tries to make use of animals that would otherwise be seen as pests in their home countries, so that their meat is not left to simply rot when killed by farmers. To this end, the company makes extensive use of the New Zealand Bushtail Possum and Australian kangaroo, which is surprisingly very often viewed as a pest to farmers because they frequently impede cattle ranching. In addition to these nutrient dense and easily digestible sources of protein, Addiction also selects several different vegetables, fruits, herbs, nuts and seeds, both for the flavors that they impart to the food and for the various benefits that they are able to provide. The company makes a point of also stressing the organic and holistic nature of its ingredients, reinforcing the notion of a high-quality product in every bag. That being said, we do have concerns over Addiction’s use of “natural flavors” in most of their dog foods – more on this later. Let’s take a look at one of Addiction’s dog foods, Le Lamb Grain Free Formula. Take a look at the ingredient list and be sure to pay close attention to the first 10 ingredients. By law, pet food companies must list their ingredients with the most heavily used (as measured by weight) first. Lamb Meal, Potatoes, Peas, Fish Meal, Tapioca, Chicken Fat (Preserved with Mixed Tocopherols), Flaxseed, Natural Flavor, Fish Oil, Sodium Chloride, Dried Cranberries, Dried Blueberries, Turmeric, Brewers Dried Yeast, Chamomile, Peppermint, Dried Enterococcus Faecium, Dried Lactobacillus Acidophilus, Dried Bilidobacterium Longum, Dried Bifidobacterium Thermophilum, Vitamin E Supplement, Niacin (Vitamin 133), Calcium Pantothenate (Vitamin B5), Vitamin A Supplement, Thiamine Mononitrate (Vitamin B1), Riboflavin Supplement,Pyridoxine Hydrochloride (Vitamin B6), Vitamin B12 Supplement, Vitamin D3 Supplement, Folic Acid (Vitamin B9), Taurine, Choline Chloride, Magnesium Sulfate, Zinc Sulfate, Ferrous Sulfate, Calcium Carbonate, Copper Sulfate, Manganese Sulfate, Calcium Iodate, Cobalt Sulfate, Sodium Selenite, Green Tea Extract, Rosemary Extract and Spearmint Extract. Overall, the first 5 ingredients of Le Lamb look good, but one red flag in the top 10 is “natural flavor”. This ambiguous phrase can mean just about anything so it’s concerning to not know what is added to your dogs food. This food ranks okay for the protein/fat/carb ratio, we like to see a dog food have a protein makeup of 21% or higher. Addiction dog foods typically range from $2.70-$3/lb which is an average price for a good bag of dog food. 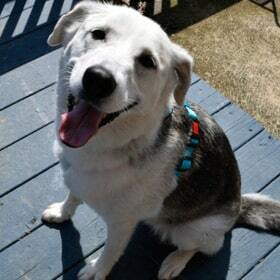 Addiction makes both wet and dry food, as well as treats and a raw dehydrated formula. Mega is one of Addiction’s bestselling lines, and is made with a unique blend of free-range New Zealand lamb, beef, pork, berries, fruits, and vegetables, as well as added probiotics to create a grain free formula that most dogs go crazy for. Another grain free product, Viva La Venison makes use of only free range New Zealand venison as well as large quantities of fresh fruits and vegetables to create a healthy, tasty choice for your pup. The website also praises the nutritional benefits of venison in a dog’s diet, claiming that it is lower in cholesterol and fat than most meats while having just as much protein. Like other Addiction foods, this one also has added probiotics to help ensure the health of your pet. Wild Kangaroo, which is the main ingredient in this formula, is touted by the company as “Australia’s best kept secret” and is made only using wild caught Kangaroos, with apples added in to lend flavonoids, polyphenols and natural antioxidants as well as a great taste to the food. Kangaroo meat has been found to contain the highest levels of Conjugated Linoleic Acid (CLA) of any red meat on the market, and is advertised on their site as being a highly prized, lean, high quality game meat with only 2% fat, making this a great choice for pups who are looking to lose some weight or just maintain a healthy physique. Kangaroo is also a great protein source for dogs with allergy issues – it’s very rare for dogs to have a kangaroo allergy. Salmon Bleu is the only variety of Addiction foods to come in both a dedicated puppy and adult blend. 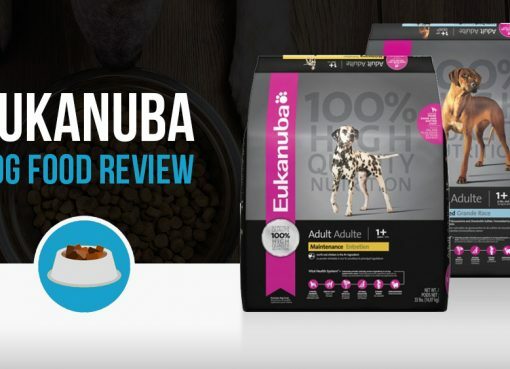 This food is made with New Zealand king salmon, a fish which is renowned for its high levels of healthy Omega 3 fatty acids and natural antioxidants, making it a great choice to keep your dog’s coat smooth and shiny. Most interesting about this food is the fact that it is the “only dry food in the world using salmon rated ‘Best Choice’ by the Monterey Bay Aquarium’s Seafood Watch, an organization dedicated to ensuring sustainable, safe ocean farming practices” according to the company website. Le Lamb is made with only free-range New Zealand lamb, as well as healthy berries, fruits, veggies, and probiotics. 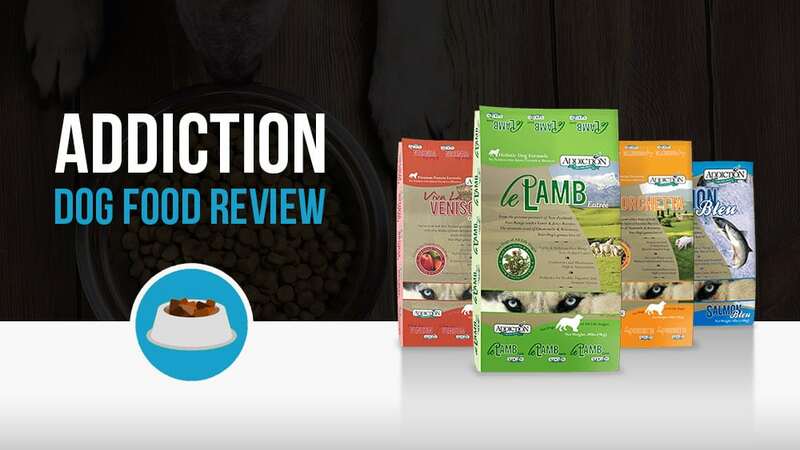 Le Lamb is also advertised as being suitable for dogs of all life-stages, meaning that dogs can eat this food from puppy right on through their senior years and still get all of the nutrition that they will need for a healthy life. Unless you are living in New Zealand or Australia, it might be a bit difficult to find Addiction on the shelves of your local pet store. That doesn’t mean it doesn’t exist on this side of the Pacific, however, and a handful of specialty stores will have the product available. The best way for most consumers to get their hands on the product, however, would be to purchase it online. Chewy currently carries several of the Addiction product lines. Thanks for a very informative article on the Addiction range. It would be interesting to have your thoughts on the Addiction ‘Zen Vegetarian’ food as well. I have been mixing this with the Kangaroo and Apple product, as well as with raw possum or venison meat – just to provide some variety and a range of ingredients. I sometimes also mix the ‘Zen’ with a tin of Tuna or sardines. No lack of appetite and lots of waggy tail during mealtimes.